Click into the asset you would like to sell, and select Sell in the Focus View. A pop up will appear prompting you to enter the sale price and date. 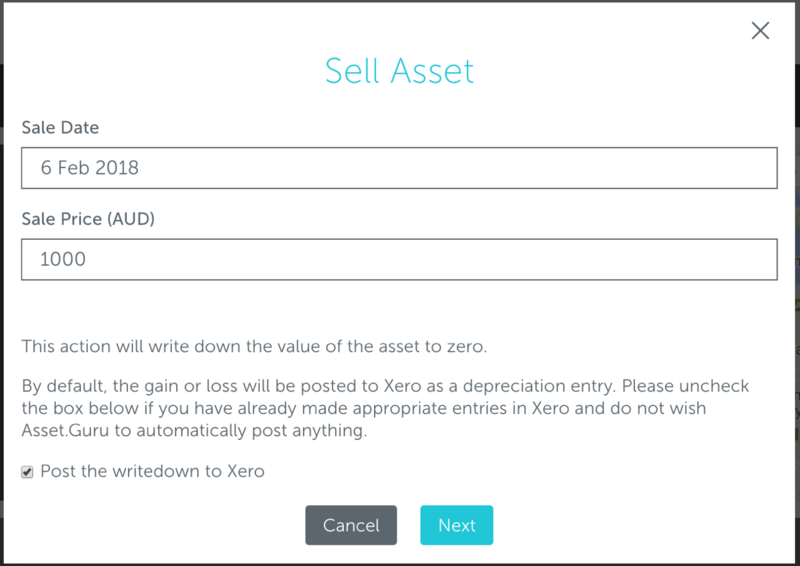 If you have connected your Asset.Guru account to your Xero or QuickBooks Online file, you will be given the further option to post a writedown entry into your accounting software. Otherwise the sale of your asset is completed in Asset.Guru; you will need to reflect this in your accounting software. If you are connected to Xero or Quickbooks Online, you will be presented with the following journal. 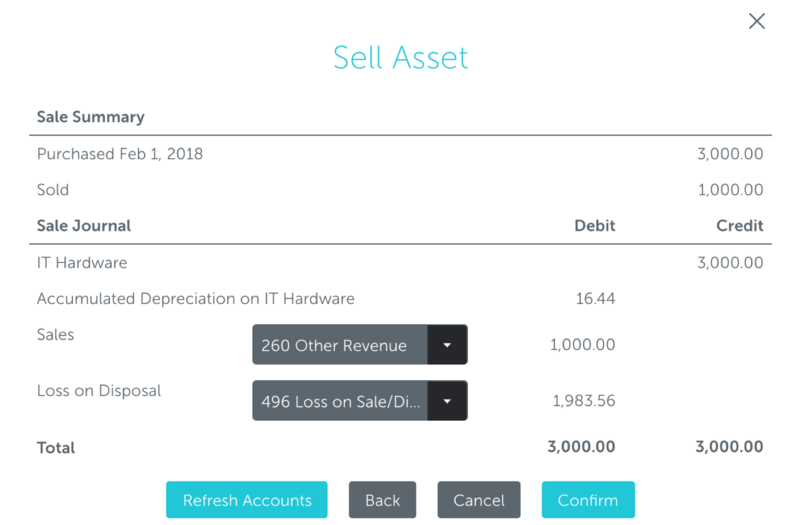 Select the accounts you would like Asset.Guru to use to post the sale of the asset and the applicable gain or loss on sale. Please note, if you have created new account(s) recently, you will need to select the Refresh Accounts button to bring through the new account(s). When you are happy with the journal to be posted, select the Confirm button.